Salisbury Federation of Small Businesses (FSB) says that the city is well on the road to recovery following the Novichok attack a year ago. Keen to continue promoting Salisbury as a success story, the FSB has been working alongside other business groups and the County Council to help businesses to get back on their feet. Salisbury FSB member Mary Webb said, “Salisbury’s small firms have experienced an extremely turbulent year. Like any community recovering from a damaging situation, the balance is fragile. Customers may have changed their habits over the months following the attack, and often it’s difficult to attract them back. “That said, Salisbury is using the experience to look at how it can re-emerge as a stronger, fitter version of itself. 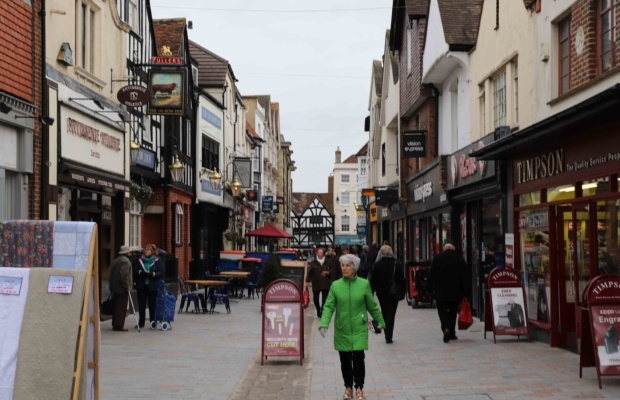 Salisbury has unique and iconic historical and natural assets, and a vibrant community of independent shops and businesses. “Local business groups including FSB are working together with Wiltshire County Council on plans to make Salisbury an even more exciting destination for both locals and visitors, including a bid to the Government’s Future High Streets Fund.